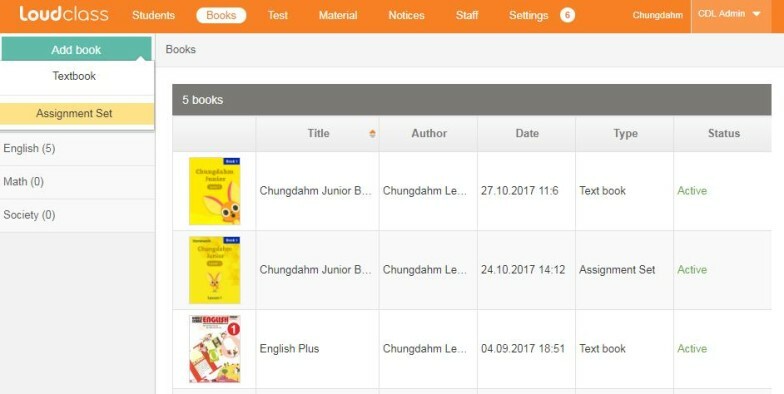 A homework is content created with Loudclass Author for after class learning. homework assigned by the teacher to the class are made available for download to the teacher and students assigned to the class. The homework has 2 status options and each status allows a different level of download. Inactive : The homework is uploaded on Cloud by the homework management staff but it is not downloadable. Active : The homework can be assigned to a class and downloaded. Tip : When a homework is deleted, there will not be any notification sent to the teacher or students. Be sure not to delete the homework s being used for the classes. 3. 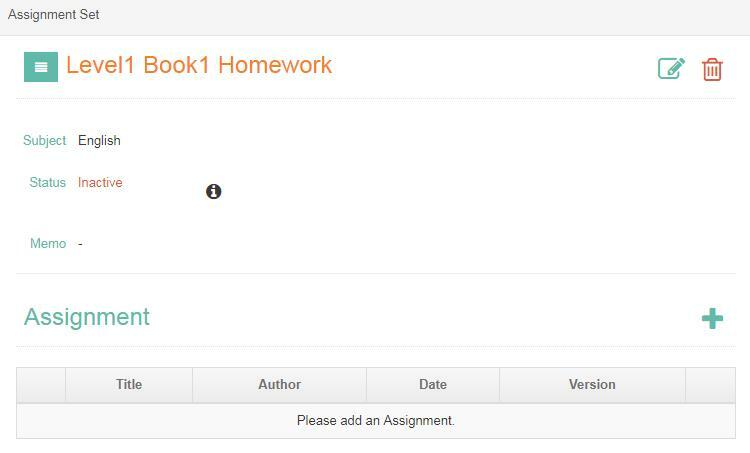 Upload the homework created with Author by selecting the “+” button. 4. Upload the homework created with Author by selecting the “Browse” button after the file is uploaded. 5. 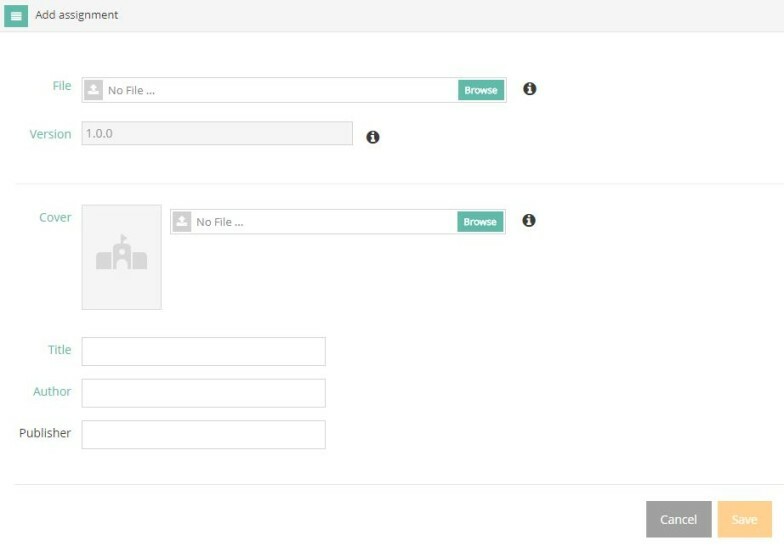 Enter required fields (Cover, Title, Author) and optional fields. 6. Check the information entered and save by pressing the “Save” button.